Pepper Chicken Gravy is very simple one-pot gravy that goes well with chapathi and dosa varieties. 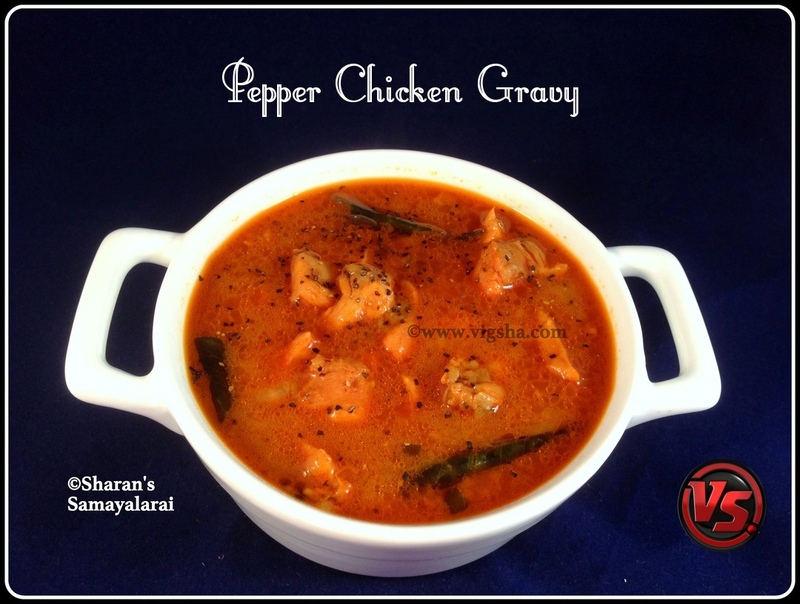 I have already posted Pepper Chicken - Dry version, do check it out. 1). Wash and cut the chicken into medium size pieces. Prepare the marinade with the ingredients listed under "To marinate". Marinate the chicken for at least 30 minutes. 2). 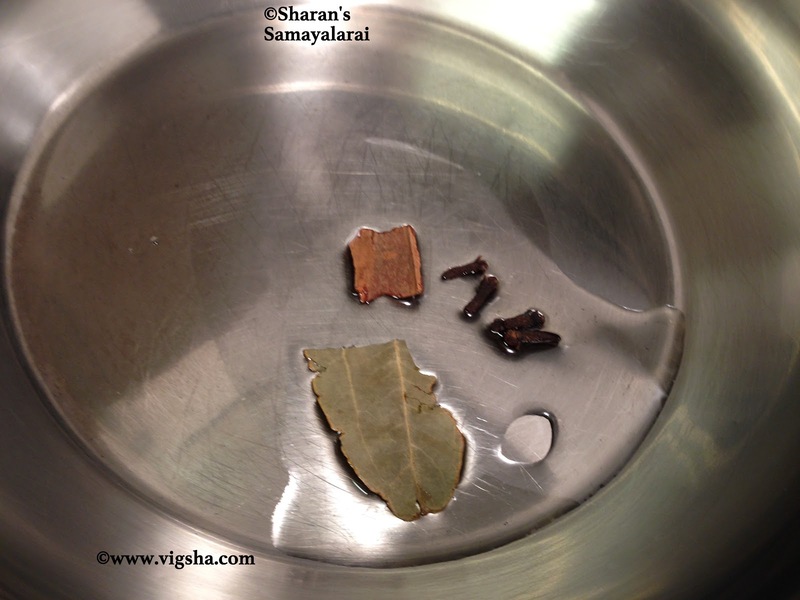 Heat oil in a pressure cooker, add cloves, cinnamon and saute till fragrant. Add onions, salt, curry leaves and saute. 3). When onions turns translucent add the marinated chicken and saute for a minute. Then add ginger garlic paste, turmeric powder, chilli powder, corriander powder and combine everything together. 4). Add curd along with ½cup water and mix everything together. Close the lid and cook for a whistle or 2*, switch off. 5). Once the pressure releases, add the grounded pepper and combine. 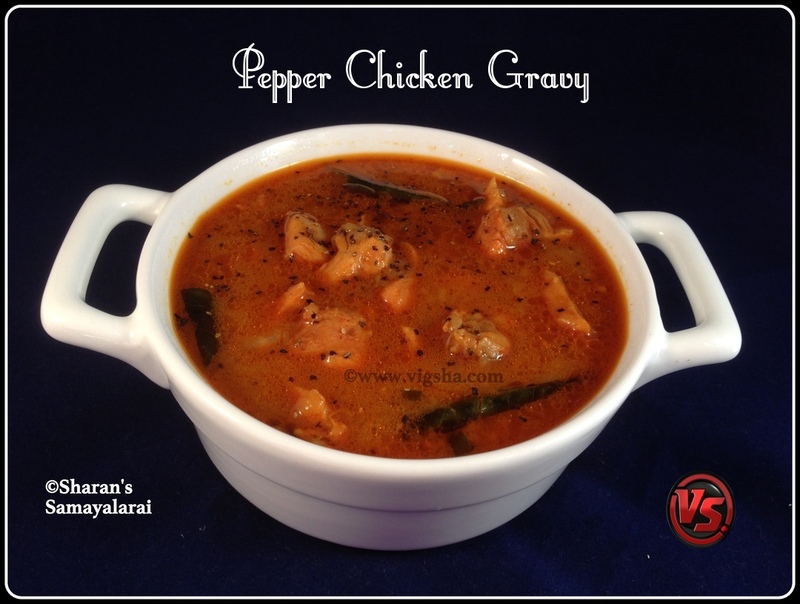 Keep the cooker in low flame till the gravy reaches thick consistency and oil oozes out, switch off. Garnish with coriander leaves. # The chicken which I used cooks faster. Just one whistle was enough. Adjust the whistles depending on the type of chicken you use. # Adjust the spice levels to suit your taste.